Cooking and Baking Classes at La Puerta Abierta – located at Calle Colima 226 – you will NOT want to miss this after you taste the selections! 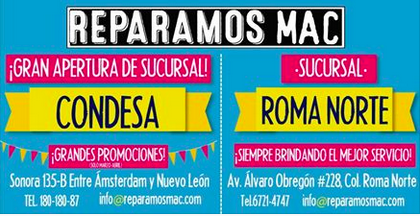 Reparamos Mac Alvaro Obregon #228 Col Roma Norte Macbook/Ipad /Iphone/Ipod Repair – Great place, fast, reasonable, my mini pad new screen, 1600.00 pesos, new screen for Macbook Air – 3600.00 pesos, MUCH cheaper than in the states! iPod glass repair – In downtown on Uruguay and Eje Central there are some shop where you can change it the price is around 900-1100 OR Centro. Lázaro Cárdenas near Bellas Artes. 500-600 pesos. Pericoapa In downtown on Uruguay and Eje Central there are some shops where you can change it the price is around 900-1100. I will try to get some details on the other options! Choices presented themselves, go to Centro where everything can be repaired and found, or try to find a local business at the risk of a lost of money for repair the Sony Rebel camera I came to Mexico with. I did not want to look for a new camera, this was an extension of my arm pretty much. 2) Dr. Jorge Terminal, #5294-6471, or 5294-9302. His office is Fuentes de Piramides, Tecamachalco. 3) On Nuevo Leon 270 near Bajio. Speaks great English, explains things very well, and is meticulous. Bernardo Hernandez Paniagua, 5272-5252. (Closed Fridays) Highly recommended. Optica Americana Av. Observatorio No 424 Esq. Florencio Miranda Col 16 de Septiembre Delegation Miguel Hidalgo CP. 01120 Mexico D.F. Tel: 5276-5052 0r 01800-707-1414. I have alway just walked in, exam the same day, picked out lenses, and within five days they are ready. I liked my last frames, so it really cost me normally (without insurance) around 3700.00 pesos and with insurance, using my frame and just lenses, 1280.00 pesos, a GREAT, great deal. Even in my broken English, lol, this place, Optica American, was always courteous and convenient being so close to school. Important thing to remember is of each school year, do so before June 30th to get the current year’s insurance, otherwise, you will lose the current year coverage and be on the following year. Also – Clinica Dermatologica Isela Mendez http://www.iselamendez.mx/?gclid=CP71-P2DkMcCFQguaQodhMMLTw — in polanco in Plinio between Ejercito Nacional and Homero a block away from the French school. Highly recommended! Looking for a beauty salon? across and out of Mexico? Or In Mexico? To another country! There are so many choices, such as, moving just across the border of the U.S. and then picking up and driving to another location, or door to door. There are several choices. This ASF alumni can help and is the best priced out of three different moving companies – all were professional, informative, and high high quality while being affordable. I needed one of the security keychains that remote lock and unlock and honestly, I found one of the best places near Roma. Cerrajerias Chapultepec by far was the best. It cost me 900 pesos and the remote worked like a charm. Contact info also is 57092956, 57090704, and 57099125 and was found on #37 Chapultepec. This was done in a manner of 30 minutes and worked like a charm, as well as with an extra key – service was exact, reliable, and AMAZING! (The fact that there were locksmiths 24 hours a day – also a HUGE relief). Scrounging. That is what I was doing when I first moved here, looking through back hallways of warehouses and buildings, looking for any pieces of furniture possible, unaware of the peso versus the dollar and saving every pesos I could. With finding existing furniture that was so-so in my apartment, and finding an awesome couch but definitely worn and not having seen the light of day, I was good, for the first year. Living in the building about this tienda, I figured having them reupholster my furniture was better than hauling out the furniture, and then hauling up furniture to the fourth floor (no elevator!). Having no furniture might have been part of the incentive, however, when I received back the couch, the sofa, the chairs, and four years later? – Immaculate condition and comfortable. I have three dogs, three cats, if you can imagine what furniture COULD look like with that combination. Yet, they look as new as the day I had them redone – even with the dogs taking muddy paws one day to the sofa, it cleaned perfectly except one little section, and this is four years later. I am going to have them take two pieces and they clean the whole piece of furniture as well. Add to this curtains done to perfection, and you see there is a reason this tienda has operated in the family for 50 years. So many fabrics, colors and reasons to choose this tienda, they can take anything and turn it into more comfortable, plushier, softer furniture. If you look at the cafe across the street, Delisa’s, you will see the tables and chairs they did for them, gorgeous! It might seem alot of money to have a valuable piece done, but the investment you will see for later. Reliable, resourceful, and durable, this is a GREAT source for furnishings and repair. Carlos Hernandez, cel. 04455-2819-0317. Very good and well -recommended from ASF tutor and former ASF teacher, Ms. Baker. Servicio Plus – 24587271 y 54271670 y 5429 4939 y 5429 9065 Cell : 0455 3866 6262 Jorge Rayon Bahena (Technician was Antonio Rayon). Email: servicio_plus@hotmail.com Center location is: CDA. TETLALPA No. 10-A1 Desp.202 C.P. 09600 Deleg. Iztapalapa Mexico. D.F. (Aceptos checques solamente al Portador). (I know the phone numbers here are different than on the magnet, but I would use these numbers as they have been the more successful! – it is a call center but works!) and a cell is listed as: 0455 3866 6262. I had this company service my refrigerator in May 0f 2013, the freezer permanently frozen, along with a permanent frost the lines in the back – just seemed to be beyond thawing properly, and I know this refrigerator, when I moved in, had been around the block for awhile. The cost of a late consulation initially, then a PERFECT visit and repair afterwards, 2300.00 pesos, but, almost four and a had years later, still ticking, they gave me a 3 month guarantee, (but ask them about the year guarantee, not sure if for new appliances and sale of them only and not repair?) ;they were prompt for the repair (four of them came to make sure all was fixed!) – and they were perfect in their service. 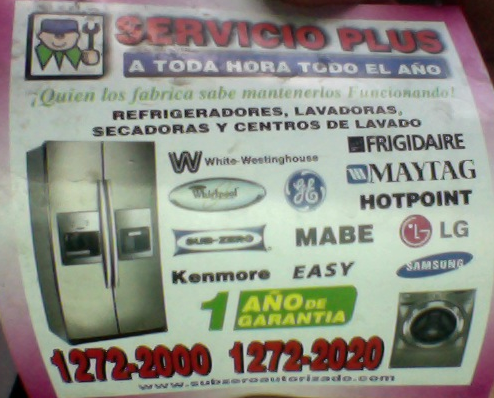 They list being able to work on lavadoras, refrigeradores, secadoras, and appliances of Whirlpool, White-Westinghouse, Frigidaire, Maytag, Hotpoint, MABE, Sub-Zero, GE, LG, Samsung, Easy, and Kenmore, and heck to see if your are not listed. I just referred my former colleague a few months ago in May of 2015, and they showed up and were perfect. **Note, the first time (consultation) they were supposed to come, they showed up HOURS late, and I called and told them about this, they were sympathetic, sorry, and genuinely apologetic. So follow up on the time they state to be there – on their advertisement magnet, it states one year guarantee, so ask about that! “Lock” – Merida No. 91 A Colonia Roma Tel: 5207 4409 or 5511 1989 I have this business come to my house as well as have gone to them for several duplicates! A great place to have extra copies of keys made – trustworthy and reliable. 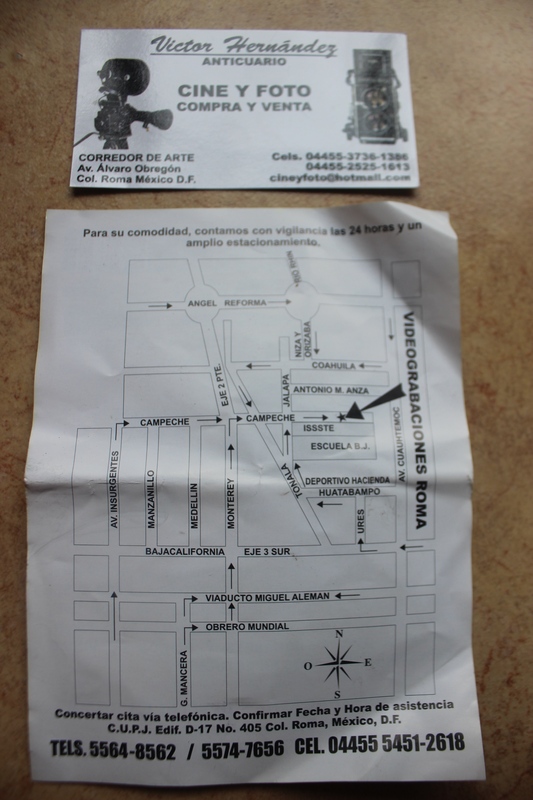 El Farito Electrico Guanajuato 27-D Col. Roma 55840703 Cell : 553981 1422 Great place as well and a little cheaper than the above – but is a little smaller a business than above. Perhaps one of the BEST framing services since I have moved here, (and there are many) is Vidrieria Alfa – he has framed a variety of challenging items for me and everytime PEREFCT, courteous and attention to detail. Autographed items, priceless items, I love this place. E-Ma Organicos Baskets and environmentally-friendly products for your plants. It is worth delving into this slowly from the very beginning to get acquainted with what you need to know and know what papers you need to get before it is too late for taxes each year, as well as contributions, etc. El Universal has a page “sin agua en DF” that notifies as well:http://www.eluniversaldf.mx/Sin_agua_en_DF_home.htmlBoth are in Spanish obviously. It wouldn’t hurt if we reminded newcomers before puentes about water shortages. I know one of mine was without water 4 days. Electric – The electric is mainly THIS and DO NOT THROW YOUR RECEIPTS AWAY, EVER – seriously, get a file box, because after keeping them a year, then throwing one away, my electric was shut off, and then…guess what, I had no receipt to prove it, so get a file box and stash the, month by month. This can be paid at Sumesa while shopping (bring the bill! 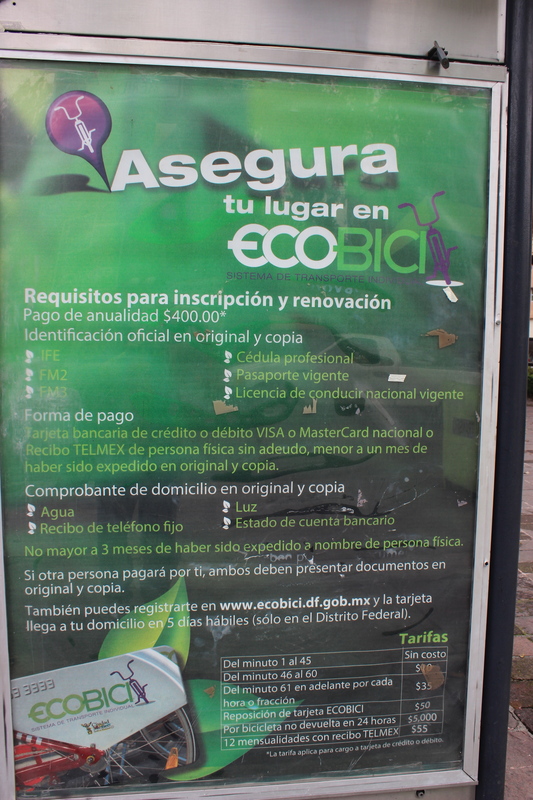 ), the Bancomer Bank, or have the School pay it for you at the Caja. I advise, take care of it yourself at the Sumesa or bank, to eliminate a third party now handling your bill. I notice people leave lights on more here as they know it is cheaper than the U.S. – strange. I still act as if it is the most expensive thing going, and get by with a 124 -130 pesos electric bill a month. 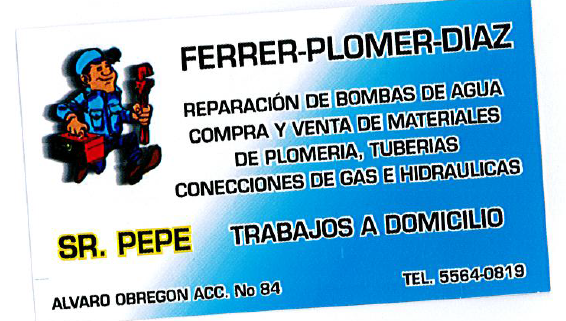 Plumbing – This service travels from Roma Norte to Condesa and outlying areas and has a VERY VERY good reputation, very reliable, for helping repair the pressure, problems with water tanks, leaks, pumps, etc. I also was given a number from my landlord as well, for a plumbing service, which is 5512334994. Gas – Most common propane company seems to be Amicsa, of you have a service that fills the whole building for you. The other alternative is someone that comes in on Saturday’s and Sundays, yelling “gas”, grab HIM. He will come and replace tanks for you, (roughly for me it was every 4-5 months, 200 pesos per tank). How long do they last? Honestly, when not using the gas, turn the valves down low. Some people do not so this, yet, but my bills hovers around 99 pesos for gas for a month. Not bad when you do the conversion. It DOES go up (price) when I leave the valves on high the whole time, I just see it as a waste, and I notice a huge difference in my bill. IMPORTANT – pay this ONLY at Banorte Bank, (at least mine, most you pay at the office of the gas or at a bank) but do right away! They waste no time in giving a disconnect warning and it is easy to let this slip away, and well, unless you like cold showers, this might be a better option, PAY IT ASAP! 1) Delivery of groceries from Superama to your door! Just register with email, address, etc, and you’re on your way. ALSO! 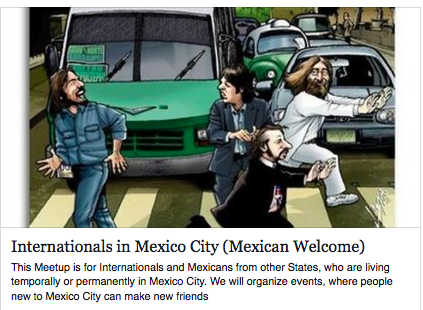 – they organize free events and walking tours in Mexico City! Just Ask!!! 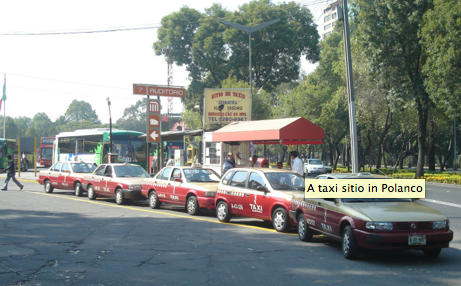 https://www.uber.com/cities/mexico-city and all over – Here. 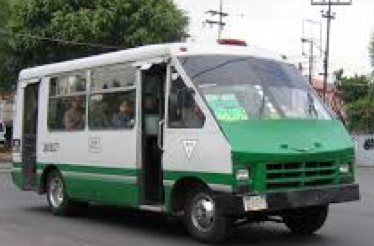 Combi = pesero = micro = small van/bus driven by a guy that costs a few pesos and drives you more or less up and down major roads. Cool article on this transportation here. And Remeber, check out Tuola if you do Ecobici and get rewards! TROLEBUS! Soon the metro card will cover the metro bus, metro, and trolebus! This is four pesos, (for the large line/cable trolley busses that are green) and thanks to coworker Bill Cox, it is an easy way to get to Home Depot! It does cut across Parque Mexico, Espana and to Dr Vertiz and more, so the stops, that have black rest stops, will have the routes on them as well. VERY convenient with their own lanes. Metro Bus– Usually North and south red bus routes in the city and extended out as well – machines at the front of each station allow you to purchase cards that store funds – check the link above for maps. 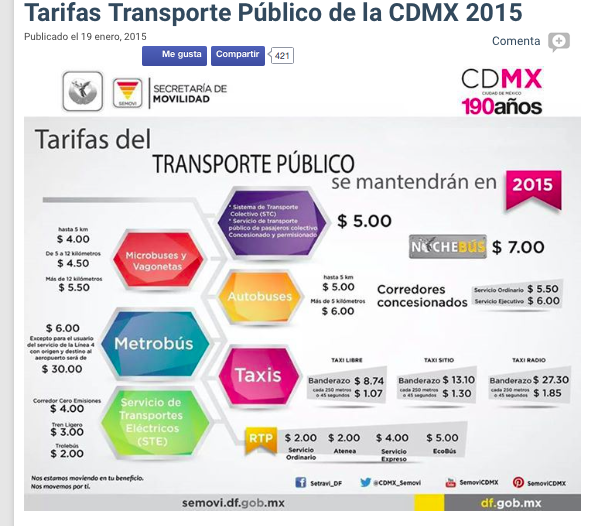 Cards now are working with the Metro, and even Ecobici as well. To learn more about routes check here. How to use the Metro Bus – Here! In Espansol: Esta tarjeta tiene un costo de $16.00 que incluye el primer viaje, posteriormente la puedes recargar por el número de viajes o saldo que desees. In English: This card has a cost of $16.00 which includes the first trip, then you can recharge by the number of trips or balance you want. M O V I N G!! On the corner of Medellin market, many have taken the services there for moving an no problem at all! What happened is I contracted a moving company. They were good, friendly, and reasonable, EXCEPT for the driver, who complained a lot and asked for more money at the end for “refrescos,” even though I had already bought them a case of beer. Plus, he didn’t want to take one mattress because he had forgotten about it earlier. (We insisted.) He left his card, and one of the packers, Emilio, replaced it with his when the driver left because he could see we were unhappy at that point. (The loaders apparently contract with various moving companies.) He told us that many people complain about the driver (rightfully so). Everything else was wonderful. So, Emilio was giving us a better option. I totally trust Emilio’s judgment because he was accommodating to everything, never once complained, and seemed like a really good person, as was the other loader/unpacker. Great Service for traveling with pets and mapping your route! 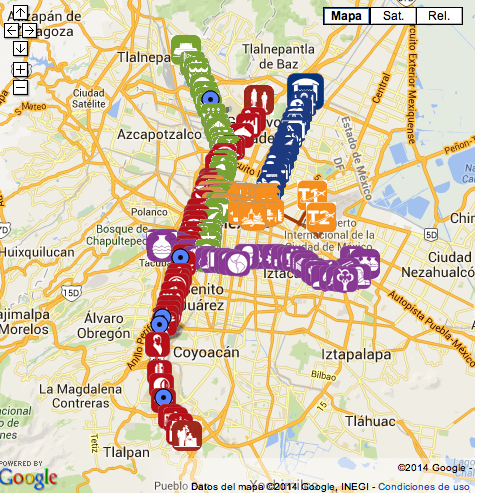 Awesome website about one individual’s experience and advice for her dog in Mexico City! Croquetero – A HUGE service that involves training, food, items, and more! They specialize in delivering food to your dogs with discounts applying. Usually a Festival held in one of the neighboring parks, but this is usually titled CroqueFest (6th annual was in 2015) – and when they have it GO! They have free medical services, deals on food, nutrition, and SO MUCH MORE! A number as well for this service and more info is here: Tel- 6386-8856 and on Facebook it is croquetero. ADOPTION and awesome services like dog id’s, shots and more! Provided by the Federal District, M.V.Z. Jesus Gustavo Martinez Garcia, person in charge of the Rabia Program in D.F., can help with vaccinations, adoptions and more. His contact info is Juventino Rosas No. 78 Col. Exhipodromo Peravilllo. His email is gustavos80@hotmail.com (Phone is 55978861 and cell is 5583-4205). Dog Gifting! 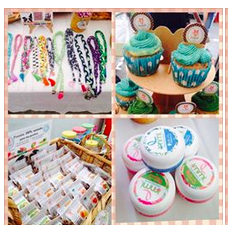 DoGift – dogiftmx@gmail.com Mariana Leon – Awesome Gifts and packages for friends that have pets as well as your own! Medical Care that was free! Also, meeting Dr. Gerardo Pina at Dr. Vertiz and Dr. Eraso streets, # 75 – Colina Doctores was amazing! They provided free sterilization for my Afghan Kinah, and they have hundreds of dogs that need adopted! Their number is 553 474 3011 and they provide amazing services for those in need of animals and those that need help with animals, as well as costs! More Awesome Dog Gifts at PetCetera! EVERYTHING from traveling items, to beds, to toys, to TONS! Great great selection! http://www.walking-dog.com Dog Walkers – Want someone to come and walk your dog and not have them leave your apartment, believe it or not, there are trustworthy services. WALKING DOG Andres the owner is AWESOME, he signs a contract so you know your pet will be well taken care of, AND they will bill monthly, with credit card, and let you know ahead of time it is going to be taken out of your account. They are responsible, on time all the time (they have motorpeds that get them anywhere on time! and..they SPEAK ENGLISH AND SPANISH! You hit the jackpot with this company! PHONE: 4739.2211 I came back after one week and everything was AWESOME! If you mention my name, you will get a discount, but he is everything quality! Perfect choice! There seems to be agents that offer insurance specific to pets, and in the D.F. the number for the agent with Medipet is (01 55) 5480-4000 and 01.800.718.8946 which involve consultations, vaccinations, accidents and their recovery from, and more! One of THE BEST – I mean it – here… Dr. Pedro Pablo Soto Chiapas St. (East/West street) between Monterrey St and Tonala St. Tel. 5584-5409 Office and Cell – 044 55 34443963 Great grooming and care. GREAT care dogs or cats, 24 hours! at Condesa Pet Center – (AWESOME GROOMING!) Condesa Pet Center Ometusco # 97 Open 24 hours and always friendly and plenty of service. GREAT grooming! Address: Entre Eje 3 Sur Baja California y Eje 4 Sur Benjamín Franklin Col. Hipódromo Condesa, C.P. 06100 México, D.F. ServiciosVeterinarios Darwin, S.A. de C.V.
Eje 4 Sur Chilpancingo 133, Roma Sur, 06760 Ciudad de México, D.F. Good article about the above company. PLEASE REMEMBER TO ASK FOR THESE THINGS when tax papers are done and finished! c) Record of tax deduction for Retirement Plan under Article 176, 2013 – IMPORTANT – even though you get alot of emails when you stat to get emails from HC in late February and early March, look when you can go and request this Retirement Statement, and if you don;t do it when stated, you WILL NOT be able to get it OR claim this on your taxes, so this is worth looking for! Office of Human Capital In order to see how much money it is accumulated in your retirement plan account you will need to enter this web page: http://planderetiro.asf.edu.mx/ You will need a password and a user name. In order to know them please send an email to the following address asking for them: planderetiroasf@aonhewitt.com. Taxes needing done in Mexico? Great question! Thanks to some of the accountants of HC, there are some choices. April 30 is the last day to do so, so start planning! One person to do taxes is Elizabeth Vargas. I will provide just her email for security reasons, and if you need further info, let me know, she is AWESOME an has it does so fast! She does BOTH U.S. and Mexico. Contact HC for further information of others on a list (they have). You are in military or naval service on duty outside the United States and Puerto Rico. And for taxes in MEXICO – 1) Conditions about taxation 2) Investment in Mexico 3) Tax Return Due Dates Corporate tax returns are due March 31st and Individual tax returns are due April 30th for the previous calendar year. Thanks so much, that is a HUGE compliment! Any such help would be great to get more news, information, ad posts out to the public, thank you so much! This is so informative! I will be starting at ASF this August and this is just the kind of information I need to get ready for my love to Mexico City! Thank you! Thanks and I am so so glad to hear this! Much more updated info in the next few weeks! It seems the camera shop on Coahuila is no longer there. Do you happen to have any info on where it might have moved to? Or did it have a name other than foto tienda bazar? Really need some camera maintenance and don’t wanna deal with el Centro! Thanks for your time! Amazing site! Working on it, will get back to you this evening! I have three people working on alternatives and will forward to you asap today! Thanks for letting me know about the one on Coahuila, I will check into that just in case it might have moved? Let me know if the above work? Thank you so much for all of this! In the following week I’ll check these out and let you know what’s what.